IT–endowed collaboration within and between groups will catalyze creativity, which in turn will facilitate multidisciplinary innovation and reduce barriers and inefficiencies among people working together. 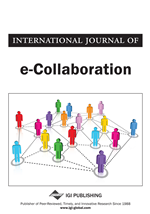 This article describes the challenges of supporting creativity and innovation through e-collaboration, and summarizes the papers that were accepted for a special issue of the International Journal of e-Collaboration. Three papers were selected from among 31 manuscripts that had been received; these manuscripts were reviewed with the assistance of 46 independent reviewers. The authors of the selected papers cover three important aspects of IT-endowed collaboration: the impact of collaboration tools on process, product, and relational innovation; the impact of e-information, e-communication, and e-workflow on innovation; and design requirements for collaboration tools aimed at creativity assistance. The article ends with a call for further research on the design and evaluation of collaboration environments tailored for use by virtual teams.